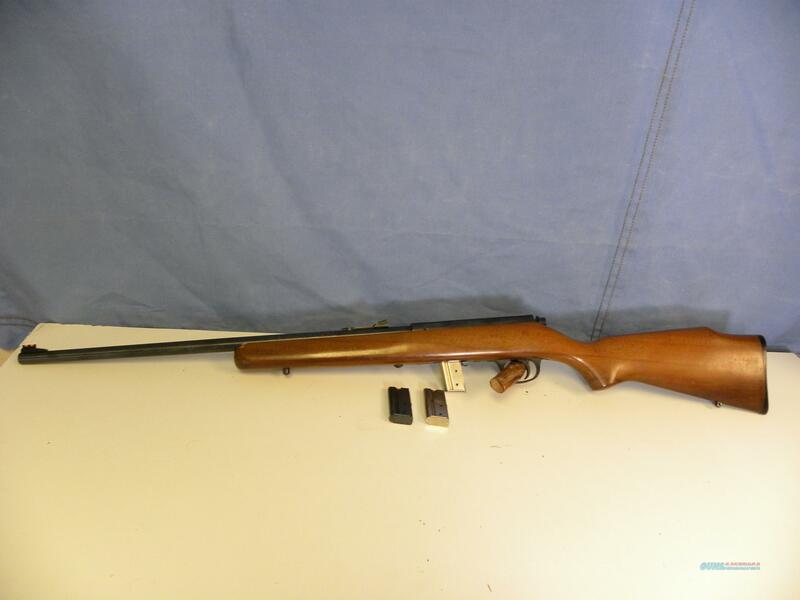 Description: This is a Marlin 925 .22 bolt action rifle with a 22” micro-groove barrel with clean and sharp rifling. This rifle comes with 1 ten round magazine and 2 seven round magazines. The original iron sights have been replaced with Williams high visibility fiber optic sights. The stock has a few dings from carry. This rifle shoots and cycles extremely well.